Export-import through Benapole land port remained halted since Wednesday morning as the Customs Officers Association went on a strike protesting an attack on their fellows by BGB men at Tamabil Land Port in Sylhet district on December 6, UNB reports. 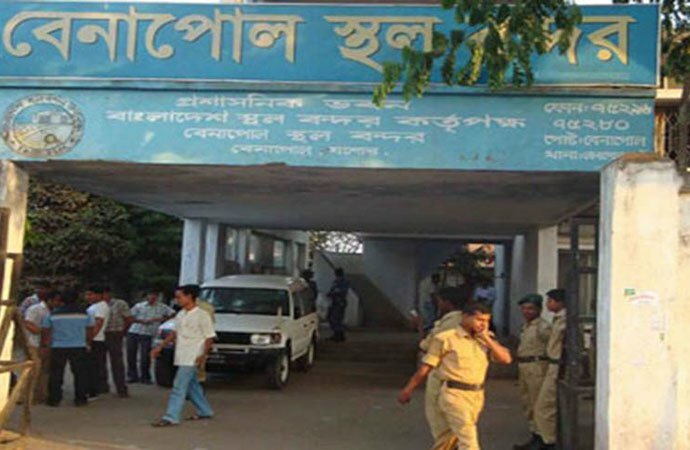 Abdullah Al Mamun, general secretary of Benapole Customs Officers’ Association, said the BGB men started to check the luggage of passengers coming from India at zero point of Tamabil land port on December 6. Being protested by the customs officials, a scuffle took place between them that left six customs officials injured, he said. Although a letter was sent to the BGB protesting the incident, no responses are yet to come, said Abdullah Al Mamun. Later, the Customs Officers Association went on a strike from Wednesday morning protesting the incident, he said. Several goods-laden trucks remained stranded on the both sides of the two countries. Meanwhile, due to the work abstention of the customs officials, loading and unloading activities at the port were also remained halted since the morning.